Are you there? Can you hear me? Somewhere near me? In the morning, long ago, had to hold you so close, had to never let go. Time on the river sliding on by. Hard to believe, wink of an eye. Where’d you go, Baby Buffalo? 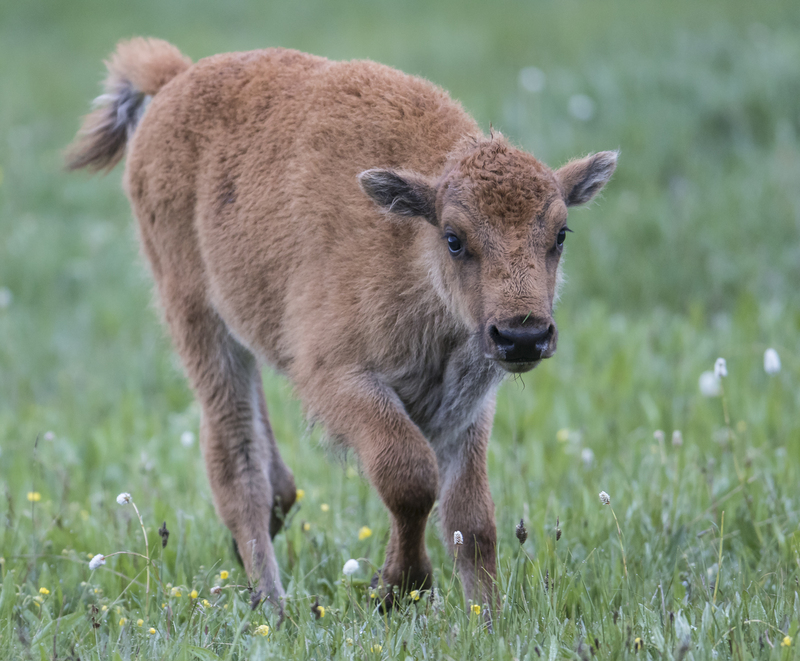 I have always been fascinated by bison – their size, power, protective instincts toward their young, and seemingly total indifference to us humans. Herd size is certainly larger now than when I first started visiting the park, so much so that there are now efforts to control the population to avoid overgrazing in their prime habitats in the park. Plus, the larger the herd, the more conflicts arise with state officials and local ranchers when bison migrate out of the park in winter to graze in areas of lower snow cover. Last winter, park officials and hunters outside the park culled more than 1200 animals from the herd. 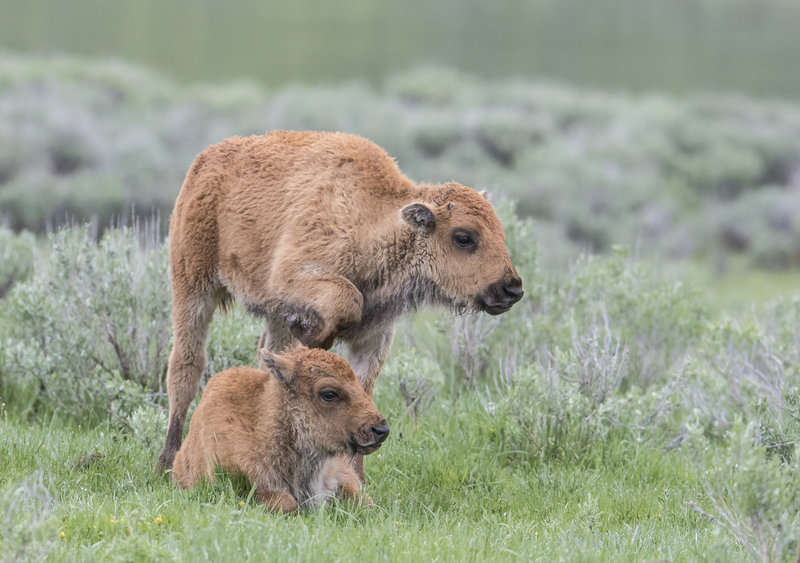 It is tough for me to accept these management decisions, but that is the agreed-upon Interagency Bison Management Plan at this point. More details on this can be found on the park web site. 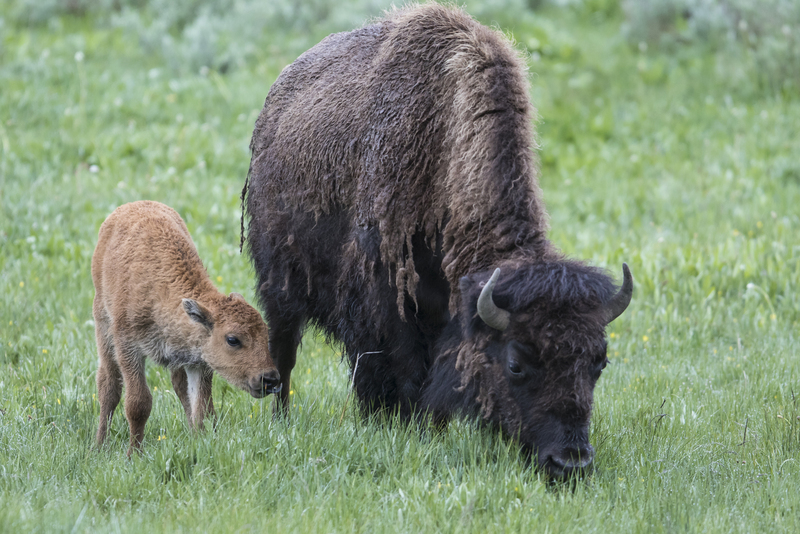 According to the park web site, “Yellowstone bison currently reproduce and survive at relatively high rates compared to many other large, wild, mammal species. 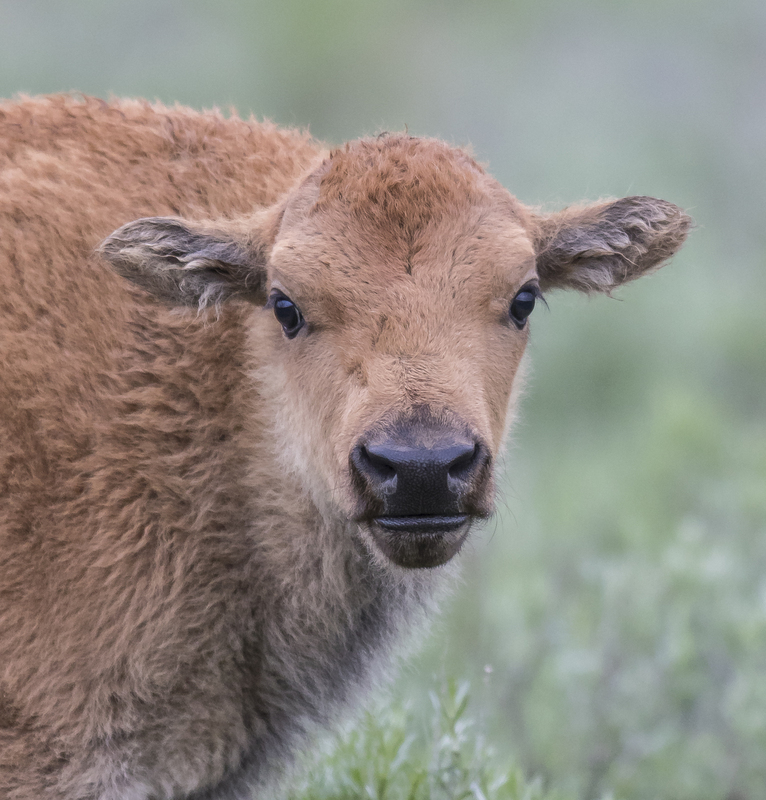 The bison population increases by 10 to 17% every year.” Simply stated, bison are killed each year because there are too many animals in too small a space in the park. 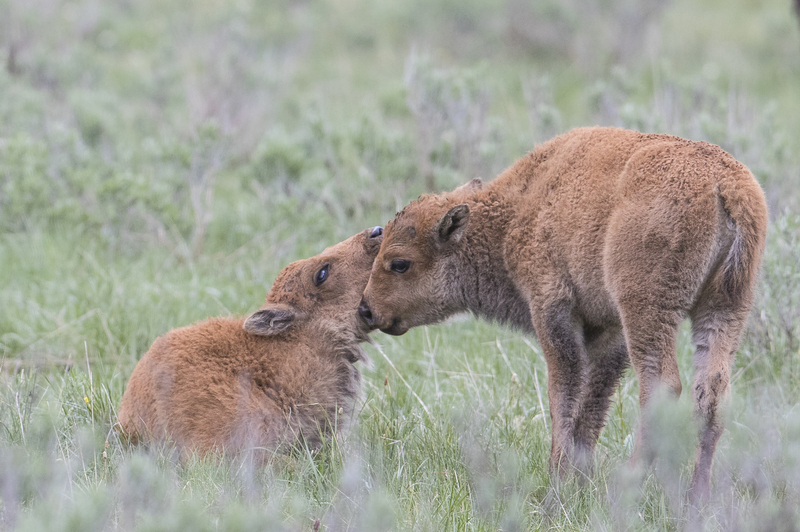 It is hard to state these cold statistics in the same post that I am glorifying the beauty and playfulness of baby bison, but that has been the state of bison management in Yellowstone for many years. The good news is that the herd is doing well. 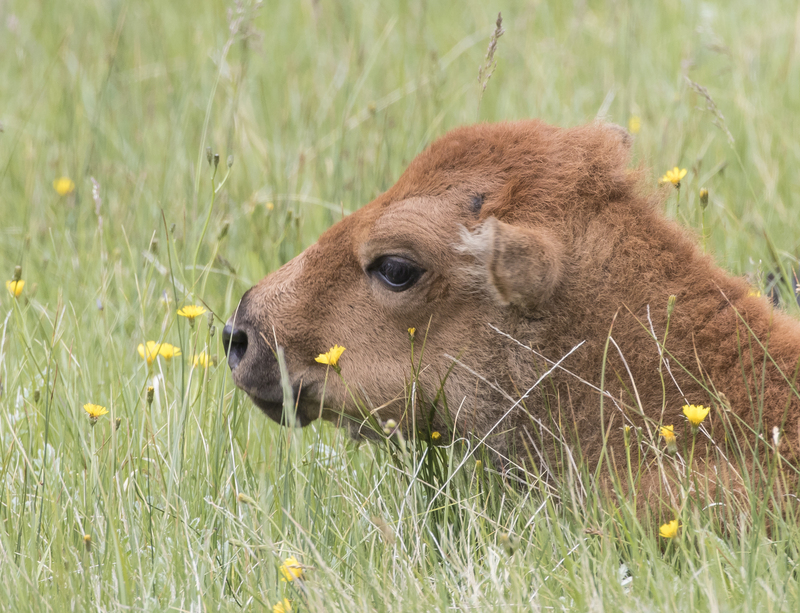 May and June are the primary birthing months for bison and I took every opportunity to watch them on this trip. 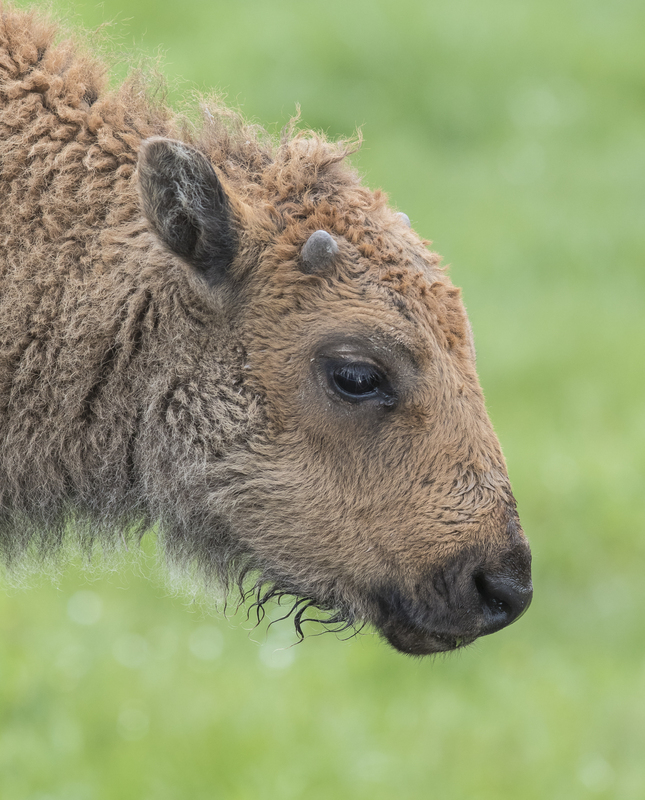 Newborn bison weigh 40-50 pounds and are able to move with the herd within a few hours of being born. They are a reddish-orange color for the first few months of their life, changing to more brown by the end of summer. When they are active, they tend to frolic and jump or play with other calves in between bouts of nursing. Then they seem to run of gas and plop on the grass and sleep. A couple of mornings I was out by myself early and enjoyed just sitting and watching (and listening) to these magnificent animals and their playful young. And it wouldn’t be a trip to Yellowstone without a bison jam – a herd moving across or along a roadway. Below is a brief video clip so you can get a feel for what is like sharing the road with these behemoths. Most of this herd had already walked by us by the time I got my phone out for the video. It can be a bit disconcerting when these huge animals lumber by your car and look into your window as they walk past. 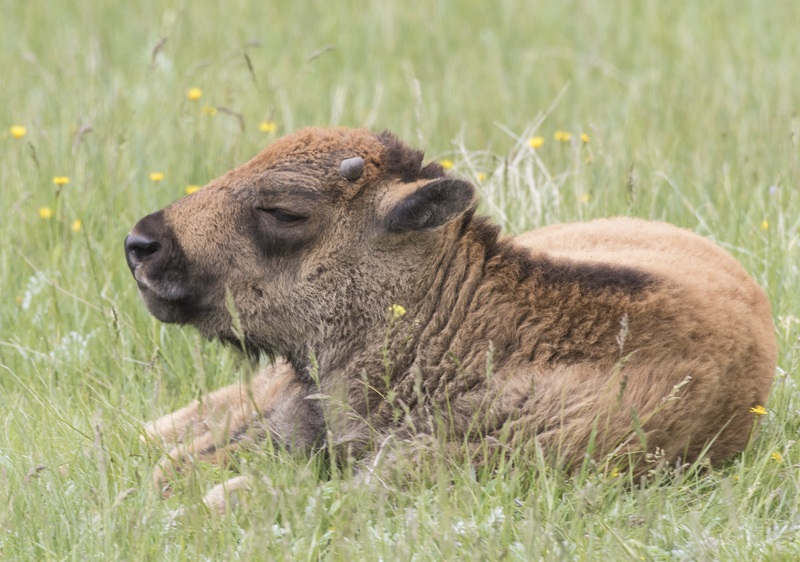 But such is the Yellowstone experience – a connection to an iconic animal of the West and a chance to appreciate their power and beauty in their landscape. I can only hope bison managers can figure out some other solutions to these bison population and political issues. 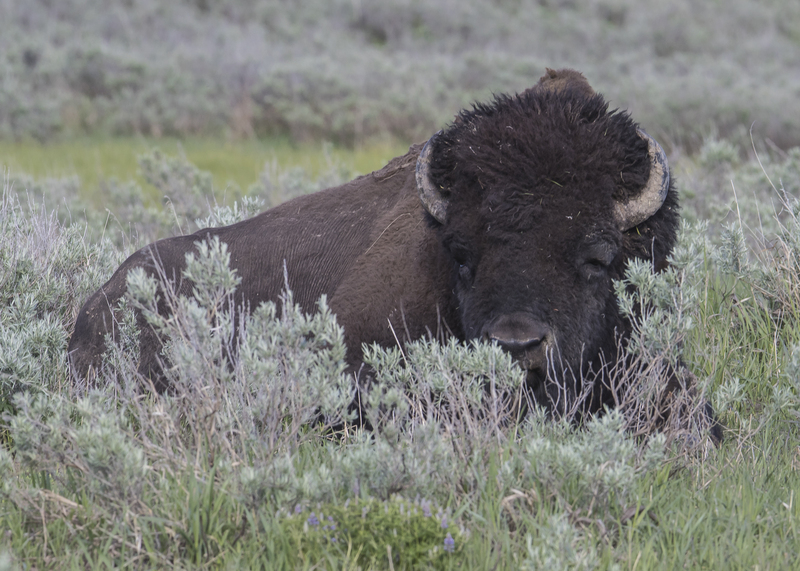 This entry was posted in Trip report and tagged bison, Yellowstone by roadsendnaturalist. Bookmark the permalink.